Just how cute is this little fella to greet your visitors? 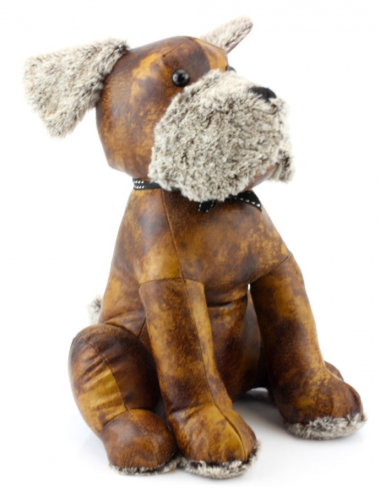 Rustic faux leather doorstop in a doggy design. He has faux fur muzzle, ears and feet trims.